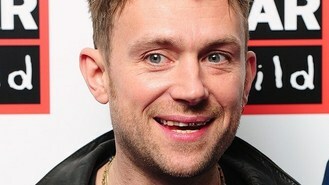 The Blur frontman, whose career also includes a stint with virtual chart act Gorillaz, has written operas and film soundtracks as well as more than 25 Top 40 hits. He will accept his gong at the NME Awards ceremony to be held at the O2 Academy in Brixton, south London, later this month. NME editor Mike Williams said: "Damon's enduring popularity is a testament to his unrivalled talent. He is somebody who is always pushing things forward, always operating in his own sphere and forever innovating via experimentation and collaboration. "Britain rarely produces songwriters of Damon's calibre, which is why he's been so popular with NME's readers for the past two decades. I don't see that popularity waning any time soon, just as I don't see his ability to write life-affirming, jaw-dropping songs disappearing either. We're lucky to have him, and it's an absolute honour for us to be giving Damon the NME Award For Innovation." The event - sponsored by the city of Austin in Texas - takes place on February 26.